More on the LEVEL MOUNT Universal Full Motion TV Wall Mount for 10 to 50 inch Screens DC37SJ below. 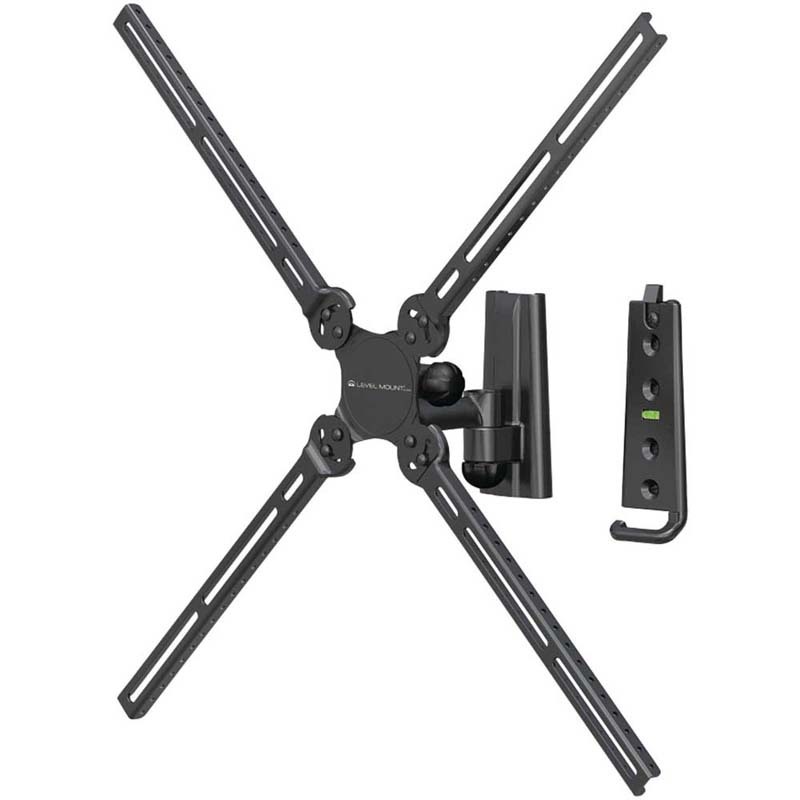 The Level Mount Full Motion Single Arm TV Mount is the easy, stylish way to mount your 10 to 50 inch flat panel TV up to 70 lbs. This single arm mount pans up to 30 degrees, tilts up to 15 degrees, extends up to 6.5 inches, and swivels to achieve the optimal viewing experience. The built-in bubble level, medium extension arms, and mounting hardware make it easy to install, while the cord management system neatly gathers and routes cords for a clean look. The Level Mount Full Motion Single Arm Mount comes with a limited lifetime warranty and a $2,000 limited protection plan. Level Mount delivers superior Do-It-Yourself TV mounts that are easy to install and use with any size TV, with all the hardware required for your installation needs included with each product. Level Mount is committed to providing the most stylish, innovative, and highest-quality TV mounts in the market today. Swivels, Pans 30 degrees, Tilts 15 degrees and Extends 6.5 in. Range of Screens Supported: 10 to 20 in., 21 to 27 in., 28 to 32 in., 33 to 38 in., 39 to 42 in., 43 to 50 in.